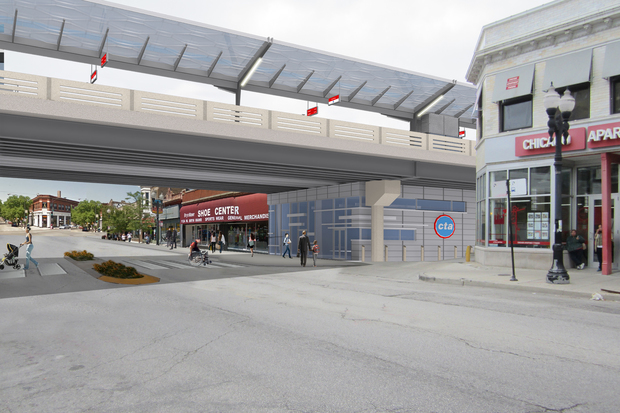 "On Wednesday night, April 18th, I invite you to hear plans from the CTA regarding the Red Purple Modernization Project, which involves building new CTA stations at Bryn Mawr, Berwyn, Argyle, and Lawrence. The meeting will start at 6:30 pm at St. Ita Social Hall, 5500 N Broadway. The CTA will outline the scope and the timetable for this important project, which will begin in earnest in 2020. My office, the CTA, and our local chambers of commerce are involved in planning to address the impacts on businesses and residents from this project." We've been following the RPM project for years; our first post was in January 2011. You can see some of the history of the project here. Or go to https://www.transitchicago.com/rpm/ on the CTA website to see the latest plans.